These are Links to web-pages that we think you may find informative. Our friends, our associates and our neighbors all across the web. Active Search Results (ASR)- Active Search Results (ASR) is an independent Internet Search Engine using a proprietary search engine ranking technology. All search results are provided by ASR's internal indexes and databases without relying on outside resources or third party search engines. ASR maintains its own spiders visiting Web sites daily that are submitted to ASR and crawlers that index other popular Web sites on the Internet. BiosciRegister.com - Calibration Software Suppliers- Comprehensive suppliers list with E-mail/RFQ form for Calibration Software. Capterra- Read top reviews and get the latest information in our Calibration Management directory. Comtest- Comtest, provides test and measurement tools, communications, process control equipment, solutions and specialized systems, office and call centre furniture, from world leading manufacturers to the southern African market. Control Global Magazine - Process Automation Technologies page- View our listing on Control Global where CONTROL is the only magazine exclusively dedicated to the global process automation market. DPCTrack2 Calibration Software- Are you taking full advantage of the functionality in your handheld calibrator? Or are you still manually entering data from your device onto a form or spreadsheet or using “bare bones” calibration software? There’s a better way. EUROPAGES- Gain free access to 3 million companies and thousands of products. Select your suppliers and establish contact with partners internationally. 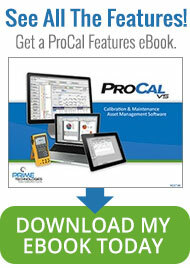 Fluke Article on ProCal Upgrade- Information on the ProCalV5 upgrade in regards to Fluke's handheld calibrators. FLUKE Calibrators- Fluke Calibration produces the broadest range of electrical, RF, temperature, pressure & flow calibration instruments & software that help measurement professionals around the globe. Fluke DPCTrack2- Manage your instruments and your calibration data with this easy-to-use instrumentation management database. Gary Mintchell's Feed Forward- Radio is an easy-to-use Weblog tool that runs on your desktop. GGI - Calibration Software & Services- A complimentary listing of companies in the calibration software and service industry. GGI Gateways To Knowledge- A complimentary listing of companies in the calibration software and service industry. Hills Education Group- Hills Education Group is equipped to deliver quality education and training projects to meet every organization's needs. Instrumentation Technical Services- ITS calibration services in West Chester, PA is the right choice for complete service of all your instrumentation and calibration needs. Intertechna AB- Intertechna AB delivers solutions so that our customers get higher availability and quality of their production. IPS - Comprehensive Calibration Program- They offer comprehensive calibration technical program management based upon their own Lean principles and Risk- and Science-based Approach. IQS Directory- Web site Serving the OEM Market and the Manufacturing Industry. IQS Directory Calibration Services- IQS Directory provides a comprehensive list of calibration service companies. ISA - International Society of Automation- A leading, global, nonprofit organization with more than 40,000 members worldwide. ISA develops standards, certifies industry professionals, provides education and training, publishes books and technical articles, and hosts conferences and exhibitions for automation professionals. P.J. Bonner- P.J. 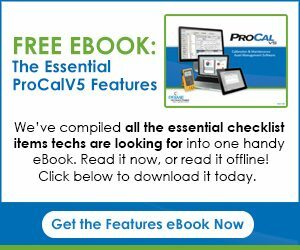 Bonner has a partnership agreement with Prime Technologies to market and license their excellent calibration management software – ProCal. Pharmaceutical Manufacturing- In Pharma, manufacturing has never been more important. And Pharmaceutical Manufacturing is leading the way. ProComSol Process Communications Solutions- Are you in need of essential HART communication products for your operations? ProComSol can help, offering a range of HART modems, communicators, accessories, apps, and more. Quality Digest Calibration Software Quality Sourcebook- This link will help organizations that depend on software applications and services for their calibration records and ISO standards processes. Quality Digest Metrology News DeviceSync Article- The DeviceSync Press Release on Quality Digest for your review. Quality Manufacturing Today Magazine- Quality Manufacturing Today magazine is the Voice for Quality in Manufacturing Industry. The Quality Portal Software Vendors- A Quick Reference Guide for Quality related information on the web. TRANSCAT- TRANSCAT is a global leader in SO/IEC 17025 accredited calibration & dimensional inspection services in the United States.